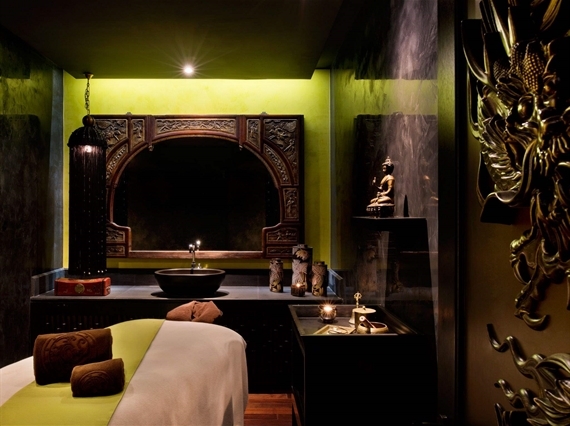 B/Attitude Spa Has Broken The Mould Of The Traditional Spa Experience With An Exotic Fusion Of East Meets West. With Its Divine Combination Of Oriental Opulence, Ancient Eastern Therapies, Chakra-Infused DéCor And A Plethora Of Signature Music And Aromas, This Chic And Contemporary Spa Leads You On A Cultural Journey Through The Senses. Inspired By Natural Elements Of Life, B/Attitude Spa Uses Only The Purest Of Ingredients From Ancient Health And Oriental Practices That Have Stood The Test Of Time, Helping To Reverse The Effects Of Ageing And Melt Away The Ills Of Stress. Holistically Engineered Using The Finest Of Ingredients In Their Most Natural Form, Every B/Attitude Treatment Delivers An All-Encompassing Heavenly Spa Experience For Your Mind, Body And Soul. B/Attitude Spa Boasts Its Own Exclusive Range Of Products Along With Other Equally Lavish And Indulgent Products From The Bellefontaine And Charme D'Orient Range. The Products From All Three Ranges Contain Uplifting And Healing Properties From Which You Will Gain The Best Benefits. You Can Choose From Over Forty Treatments On The Spa Menu, Including Facials And Massages, As Well As A Collection Of B/Attitude'S Signature Wraps, Scrubs And Rubs. Due To The Popularity Of Our Spa We Request You To Book Your Treatment 24 Hours In Advance. A 24-Hour Cancellation Notice Is Requested To Help Us Re-Schedule Your Appointment. Any Treatment Not Cancelled At Least 12 Hours Before Hand Will Be Charged The Full Amount. Please Arrive 15 Minutes Prior To Your Appointment, As We Cannot Guarantee Complete Treatment For Late Arrivals. This Will Also Allow Enough Time To Fill Out The Spa Consultation Form. Please Wear Comfortable Light Clothing Or Bathrobe. Bathing Suits Must Be Worn While Using The Wet Area Facilities (Jacuzzi, Sauna, Steam And Hammam Pools). Please Wear The Slippers Provided In The Lockers While Using The Spa Facilities, At All Times. Disposable Underwear Is Provided For Most Of The Body Treatments And Our Therapists Are Trained To Drape Towels Discreetly Over Any Area Of The Body Not Involved In The Treatment So As To Respect Privacy At All Times. We Offer Treatments From Age 16 And Above. Should You Have High Blood Pressure, Allergies, Physical Ailments, Disabilities Or If You Are Pregnant, Please Be Sure To Notify The Spa Manager Or Receptionists At The Time Of Reservation, And In Any Case Before You Start The Treatment. It Is Recommended That You Refrain From Consuming Alcohol On The Day Of Your Treatment And Avoid Large Meals 2-3 Hours Prior To Your Treatment. B/Attitude Spa Gift Vouchers Are Available For Purchase And Are Valid For 6 Months. They Are Non-Refundable And No Discount Is Offered. 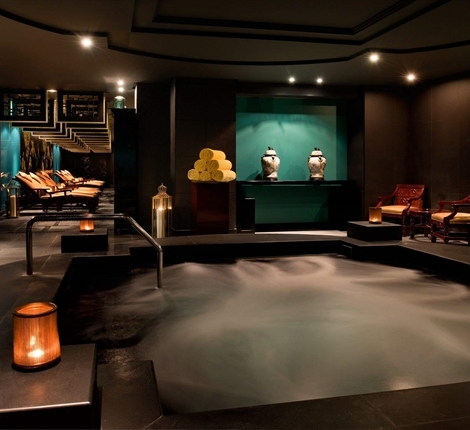 The Spa Provides A Relaxing And Tranquil Atmosphere. To Maintain The Harmony At The B/Attitude Spa And For The Comfort Of All Our Guests, Please Switch Off Your Mobile Phones And Any Other Electronic Devices, And Speak Softly. Please Keep Your Personal Belongings And Valuables In The Lockers Provided. The Management Accepts No Liability For Any Valuables Left In The Spa. Your Suggestions And Feedback Are Very Important To Us. We Will Appreciate It If You Would Take A Few Minutes To Fill Out Our Spa Feedback Form.